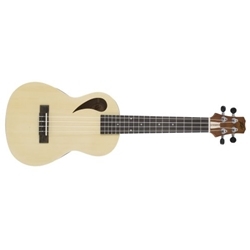 The Peavey Composer Ukulele combines classic features of the Peavey ComposerTM acoustic guitars including the teardrop sound hole in a smaller Ukulele body. These are used in a wide range of applications ranging from Christian country and bluegrass to contemporary worship. The Peavey Composer Ukulele can be an asset in any music setting.